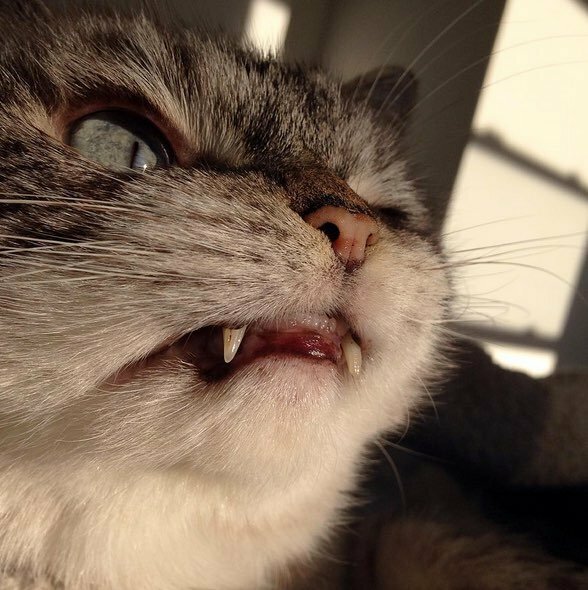 Have you met Loki the Vampire Cat? 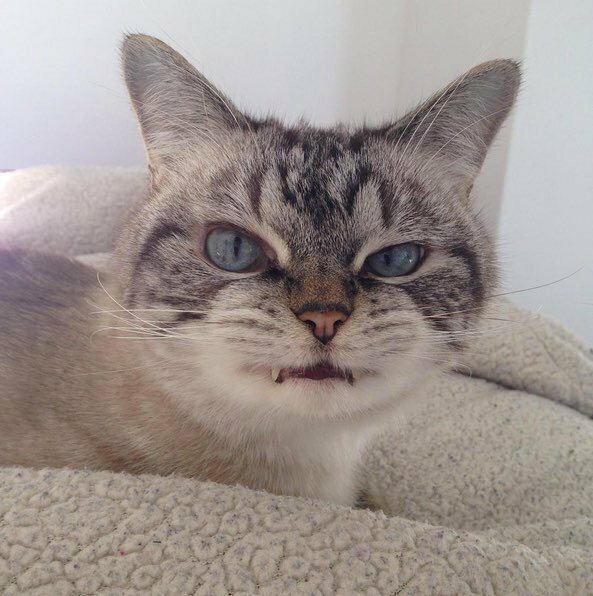 Owner Kaetlyn Koch adopted this little toothy wonder from Chittenden County Humane Society in Vermont, two years ago. Koch was doing work for the shelter, when she saw a photo of a feline named Angel. 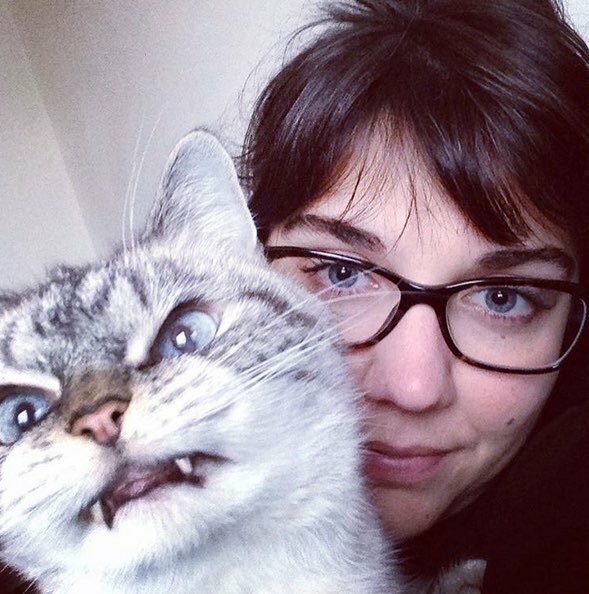 Though she had no desire to adopt a pet, she had to meet this one. Angel was living in an employee office because other cats were attacking her. When Koch went to meet her she was curled up inside a desk drawer. The next day she adopted her and took her home. They currently reside in Portland Maine. She is believed to be roughly ten years old and her life before the shelter is unknown. Koch felt Angel was not a suitable name for a vampire cat and changed it to Loki, the Norse God of Mischief. Loki has a minor issue with one eye and is unable to completely close it. Regardless, she is happy and healthy and ready for Halloween. You can follow Loki on Facebook and Instagram!